General Motors, BMW, Audi and Mercedes Benz are leading the global connected car market, as of 2017. The market is expected to get a major boost with EU’s eCall mandate and rising adoption in China. According to the latest research from Counterpoint’s Internet of Things Tracker service, the global connected cars market is expected to grow 270% by 2022 with more than 125 million connected passenger cars with embedded connectivity to be shipped during 2018-2022. The data only represents the global passenger car shipments with embedded connectivity and does not indicate number of active connections. In terms of number of units, the market will be primarily driven by EU’s eCall mandate and rising adoption in China. In Europe, major car consuming economies such as Germany, UK, and France will provide the major thrust to the market. Discussing on the brands performance, Hanish Bhatia further highlighted, “General Motors is leading the market in terms of number of shipments, followed by BMW, Audi and Mercedes Benz, respectively. The connectivity platforms such as GM’s OnStar, BMW’s Connected Drive and Audi Connect are offering various services while creating new revenue streams and bridging the gap to stay connected with the consumers. Together, these brands account for more than 90% of the total connected passenger cars with embedded connectivity sold in 2017”. “Also, much talked about US-based car maker – Tesla, continues to offer embedded connectivity across its’ portfolio”, he added. In 2017, China and US accounted for nearly 45% of the total shipments. China alone accounted for 32% of the shipments. This is primarily due to a significantly bigger passenger car market in China. 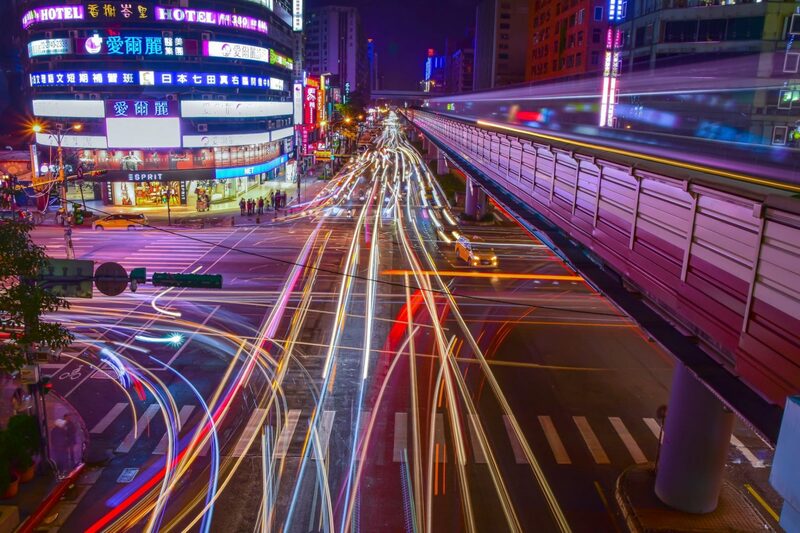 However, 4G is likely to gain traction and account for nearly 90% of connected car connections globally. In case of 5G, Japan and South Korea are expected to lead the market with higher penetration as compared to other markets. The comprehensive and in-depth ‘Global Connected Car Tracker 2018’ is available for purchase at report.counterpointinsights.com. Please feel free to reach out to us at press(at)counterpointresearch.com for further questions regarding our in-depth latest research, insights or press enquiries. 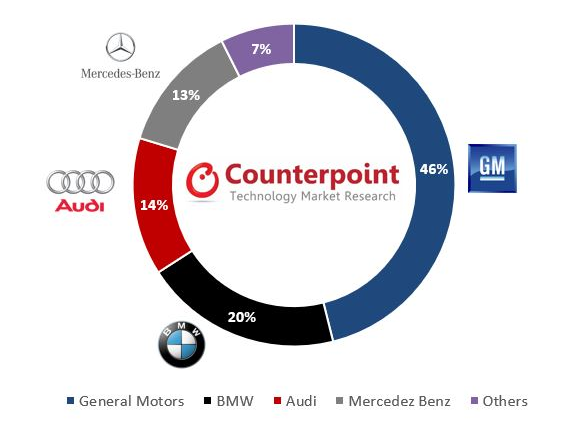 The Counterpoint’s Internet of Things Market Tracker research for Connected Cars is based on total shipments estimates based on company’s IR results, vendor polling triangulated with sell-through (sales), supply chain checks and secondary research. Hanish is a Senior Analyst with Counterpoint Technology Market Research, based out of New Delhi. He has close to 6 years of work experience including market research and consulting. He has played a pivotal role in supporting global mobile handset OEMs and mobile component manufacturing firms for their 'Make in India' market entry strategy. Apart from this, he has driven multiple bespoke consulting projects touching upon various new technologies. 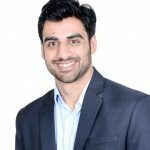 Hanish holds a Master's in Business Administration degree from IBS Hyderabad, specializing in Marketing; he also holds a bachelor's degree from MDU Rohtak, specializing in Automobile Engineering.